MedTech devices and more – Imagine the future possibilities! 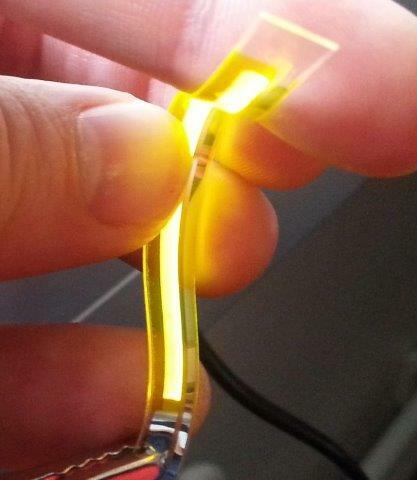 The unique form factor of the LEC patches make the devices suitable for integration into devices where it is important that the patch can conform to specific dimensions, and still emit light from the entire surface. All-organic, no metals required – throw it in your recycling bin! Given the flexible selection of electrodes, LunaLEC has patented the first all-organic LECs. Dispose of it in your plastic recycling.